Many congratulations to Renata and Colin who were married on a spectacular June day. 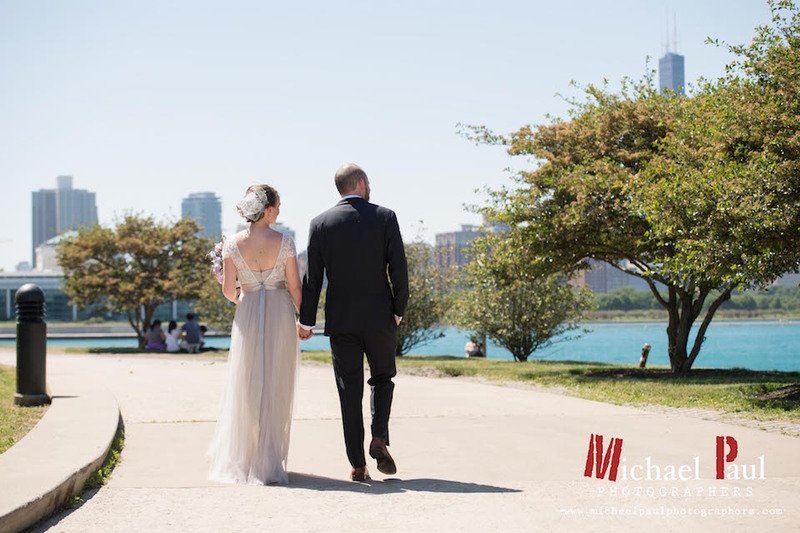 City Winery was the perfect venue for this music loving couple (their first date was at a Talking Heads cover band concert!) as it played a major part of their ceremony - Renata walked down the aisle to a beautiful unplugged rendition of "Here, There, Everywhere" sung by her sister and their readings included lyrics from Patti Smith's "I Was Looking for You' and Railroad Earth's "Right on Tune". Thanks to University Flowers the concert venue was transformed into a delightful array of mason jars filled with dried lavender and fresh blooms (IT SMELLED SO GOOD) and The Chicago Catz got everyone up on their feet! We could't be happier for these twO and wish them a lifetime of happiness!